Business leadership can be difficult. You need to lead your team and perhaps the entire company. The balance between leadership activities and doing other aspects of your job may not be completely clear. Are you paying too much attention to your own job and neglecting the leadership itself? There are some questions to ask yourself to find out the answer. Here’s what to keep track of. 1. Are You Spending Too Much Time Micromanaging? 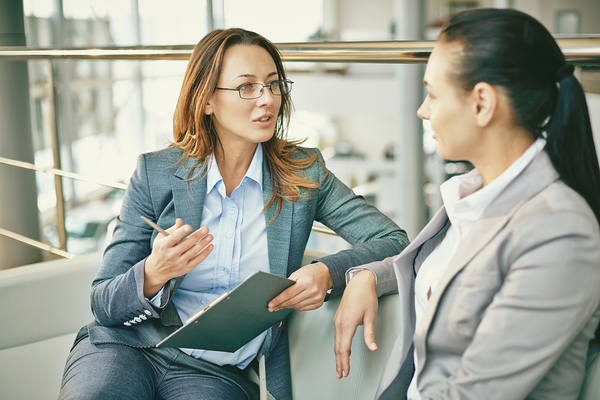 A recent Inc. article points out that some managers feel that redoing or critiquing the work of their subordinates is leadership. In fact, micromanagement — redoing the tasks that others have done, or advising them to do something completely differently — is a drain on genuine leadership. Worse, it can profoundly demotivate your subordinates. There’s an old education adage that you want to be the guide on the side rather than the sage on the stage. Something similar holds true for business leadership. You want to guide and coach your team to do their best work, not do the work yourself. What are the best practices to do that? You provide the overall goals and objectives, clearly communicated. Give your team discretion as needed to achieve those goals. If you want an online newsletter, for example, guide the team to brainstorm how it might look and topics to cover. But you do neither the design nor the writing yourself. A high degree of voluntary turnover can stem from leadership challenges. 2. Does Your Team or Company Have a Problem With Turnover? Most organizations regard turnover as a problem, largely because it is both more productive and more cost-effective to keep good performing people than to have to search for and train their replacements. While some turnover is inevitable, turnover above the norm can indicate an issue with leadership. In fact, a Gallup survey on turnover found that 75% of departing employees, provided the departure was voluntary, were leaving for reasons managers could influence. Not only that, but issues with their immediate managers were the #1 predictor of an employee’s voluntary turnover. These issues included micromanagement, but were also broader, encompassing unclear direction, lack of promotional opportunity or clear paths to advancement, personnel issues, and more. The key takeaway should be this: while many managers (and organizations) believe that compensation and benefits are crucial elements in voluntary turnover, issues with managers are often far more important. If your team is turning over, conduct exit interviews to see if there’s a pattern. 3. Are You Comfortable With Your Role? Some leadership issues may exist because of a lack of fit between the leadership role you have and your goals, or even your abilities. Many people are promoted to leadership areas because they performed well in a particular arena, such as business strategy. But the actual tasks that make up leadership do not excite them. If that’s true of you, take stock of how you might be happier and more comfortable. Would you rather develop team leaders than the individual components of the team? Does analysis and business strategy seem more like your forte? Questions like this will ensure that your leadership flourishes, rather than languishes.